There's something to be said about good deeds. Maybe it's karma or some other force at work, but when you do good deeds, good things tend to happen to you in return. 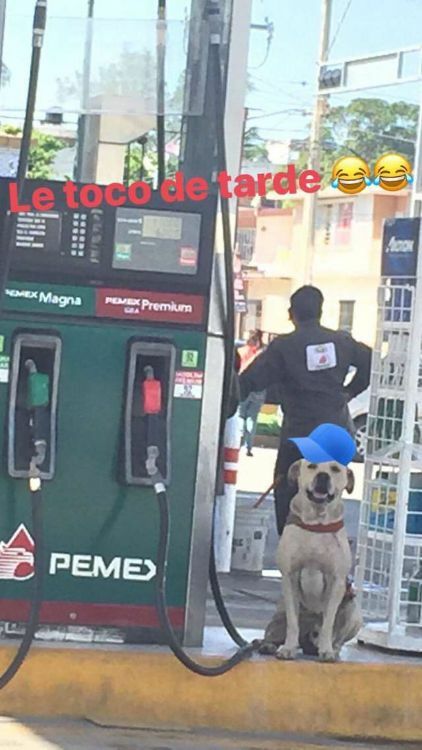 At least, that's what happened when gas station staff adopted a stray dog who wandered up to the station one day. 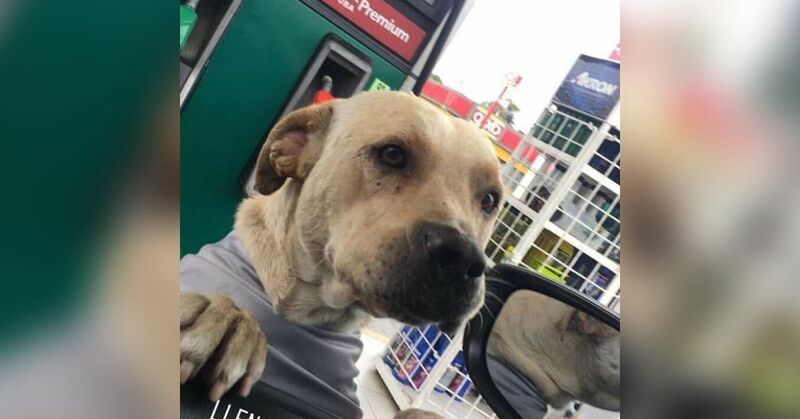 When a scared stray dog appeared near a gas station about two years ago, staff didn't just let him keep walking. 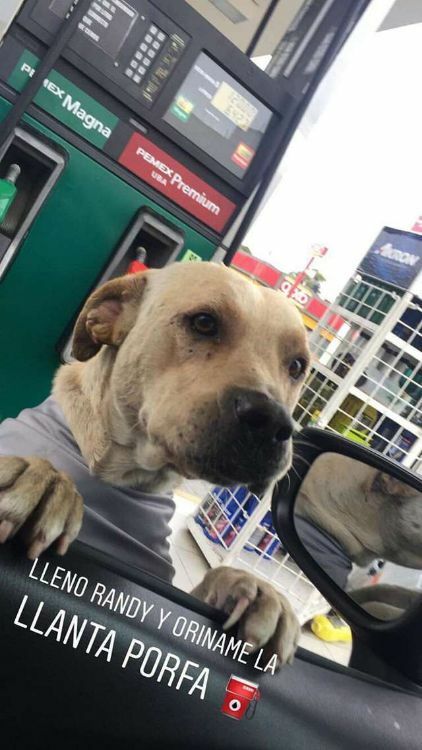 The workers at the station in Tamaulipas, Mexico, recognized the pup needed help, so they tried to gain his trust. It wasn't easy because the dog was skittish and appeared to have been mistreated. 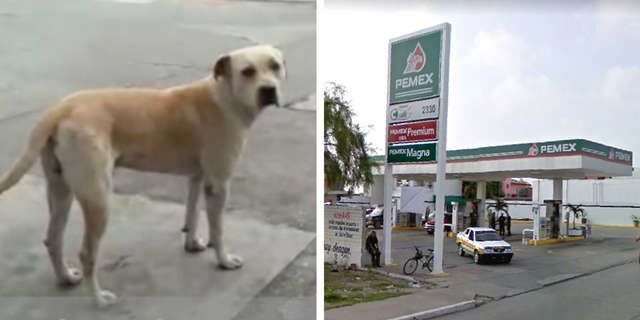 Station owner Gerardo Aguilar explained that the staff worked together to get the stray fed, bathed and vaccinated. In fact, they adopted the dog, and he now lives at the station. All of the workers care for him. The dog needed a new name for his new life, so he became Randy. It wasn't long before Randy repaid all of his new friends for their kindness. When two armed robbers approached the station one night, they told the attendant to open up the office so they could access the money. Then, they punched the worker and knocked him to the ground. The commotion woke Randy, who had been sleeping in the warehouse, and he rushed in and drove the robbers off. His stunning act was caught on the following video. Randy became a hero and showed his new family just how grateful he was for them. He may have saved the attendant's life, and all of the staff are proud of his actions. Randy brings joy to others, too. Randy's proven that having a business adopt a good can be a good decision. Perhaps more business owners will follow Aguilar's example.